The porks—forgive us, the pigs—have come by car and motorcycle, to purify themselves ritually before they die. 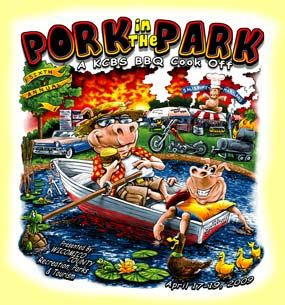 They've come, to this sacred pond in Wicomico County (Maryland), to atone for their sins (namely, their prideful refusal, up to now, to be eaten). And so, on this, their last day, they languish, bellies stuffed, even as they will soon be the stuffing for other bellies. They loll, even as the sky flares with righteous fire. Is this scene meant to be tranquil? Between the flammable atmosphere and the clouds of choking smoke, the site speaks more of cataclysm than of respite. Addendum: Like you, we are reminded of this.